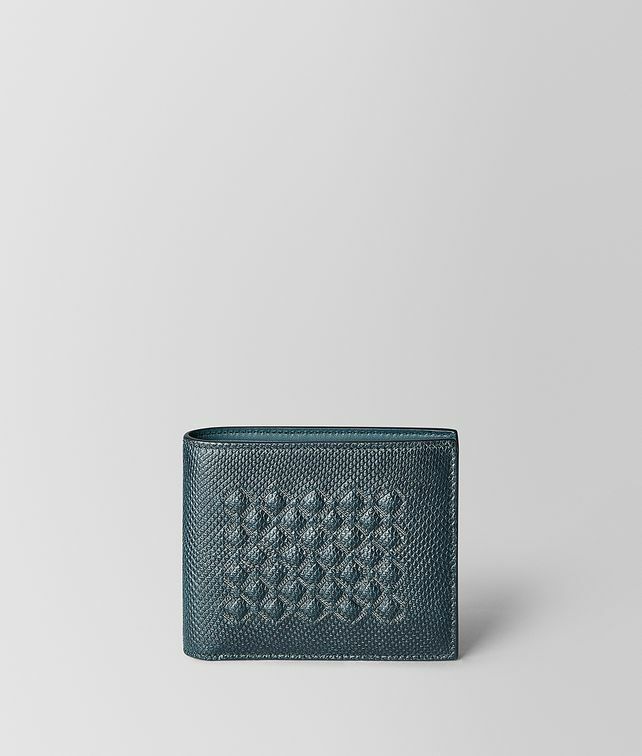 This classic bi-fold wallet is exceptionally crafted with a meticulous attention to detail. It is made from precious karung leather that is brushed to create a subtly shiny, bi-colour effect. The skin is then embellished with tiny brunito studs in a pattern that echoes our iconic intrecciato weave. The nappa interior is fitted with eight credit card slots and four compartments for organising notes and receipts.